LexisNexis Enterprise Solutions, a provider of technology solutions to professional services organisations, today announced that Collyer Bristow LLP, a London-based law firm servicing clients in the UK and internationally, is adopting its enterprise resource planning solution, LexisOne. LexisOne will help deliver enhanced processes and provide improved business-wide financial and client information. When fully deployed, LexisOne will be used across the firm in Collyer Bristow’s London and Geneva offices. LexisOne will streamline Collyer Bristow’s business environment across multiple applications including time management; billing; procurement; purchasing; legal accounting; matter planning; and management information. Prior to selecting LexisOne, Collyer Bristow undertook an extensive review of the relevant IT systems for law firms available on the market. The firm chose LexisOne because it offers law firms comprehensive and superior functionality that goes above and beyond what traditional practice management systems provide. LexisOne, built on the Microsoft Dynamics AX platform, is an enterprise resource planning solution that is expressly designed for law firms. Collyer Bristow is deploying market leading technology offering a solution that provides users with the familiar Microsoft Outlook look and feel. “We are taking an ERP-led approach to improve the efficiency of our financial and client data management processes,” Paul Newhall, business development director at Collyer Bristow LLP, elaborated. “LexisOne is fast being recognised as the technological way forward by progressive law firms,” Andy Sparkes, general manager, LexisNexis Enterprise Solutions said. 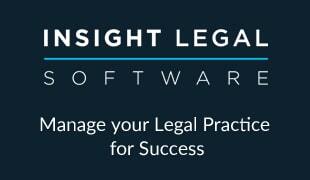 “It is built on a robust financial platform and delivers the modern capabilities that law firms need to compete today.